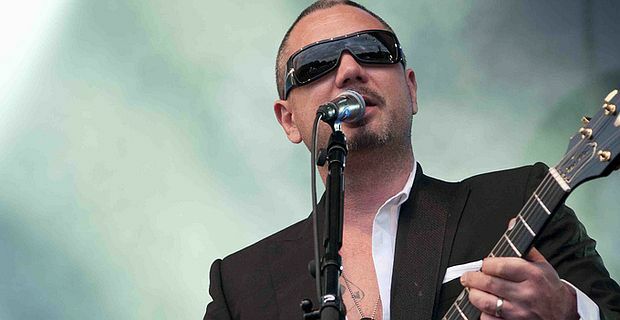 Huey Morgan, Fun Lovin’ Criminals frontman and sometime BBC DJ has had to apologise to radio colleagues after making outspoken comments on Twitter. Morgan is not a man to take career disappointments with good grace it seems. He was unimpressed when Radio 6 presenter Lauren Laverne picked up a silver prize in the Sony Radio Academy Awards in the Radio Personality category. Morgan, who has been covering Laverne’s Radio 6 show, seemed to be suffering a little envy. "You got no idea what I put into my shows," he tweeted. "She just shows up and plays on Twitter. Ain't that BS? I am the people’s champ, don't need no award. Y'all know how it be." He has a point. Morgan’s shows tend to be endlessly inventive, covering a broad range of music history, interspersed with his cool delivery. Laverne’s shows are cheerily amateurish and distinctly less memorable. He also tweeted a few sideswipes at other DJs, calling Fearne Cotton and Chris Evans (who beat Laverne in the Radio Personality category) "suckers". That would seem a polite description for some who have inadvertently listened to their shows, but the BBC were not impressed. Morgan’s outbursts offended BBC protocol, whereby DJs are expected to be chummy and mutually supportive. They had a stern word with fun lovin’ Huey. Rebuked by Laverne’s request to "please stop being weird," Morgan quickly fell back into line. "I was a big fat baby last night," he tweeted, "and ungentlemanly. Mea culpa." Laverne, meanwhile, was restrained enough not to remind us that Huey, "the people’s champ", has presented a pet show with Liza Tarbuck on Sky.